Here is an excerpt from an article written by Gary Hamel for Harvard Business Review and the HBR Blog Network. To read the complete article, check out the wealth of free resources, obtain subscription information, and receive HBR email alerts, please click here. Almost 25 years ago in the pages of HBR, C.K. Prahalad and I urged managers to think in a different way about the building blocks of competitive success. We argued that a business should be seen as a portfolio of “core competencies” as well as a portfolio of products. By building and nurturing deep, hard-to-replicate skills, an organization could fatten margins and fuel growth. While I still believe that distinctive capabilities are essential to distinctive performance, I have increasingly come to believe (as I argued in an earlier post) that even the most competent organizations also suffer from a clutch of core incompetencies. Businesses are, on average, far less adaptable, innovative, and inspiring than they could be and, increasingly, must be. Most of us grew up in and around organizations that fit a common template. Strategy gets set at the top. Power trickles down. Big leaders appoint little leaders. Individuals compete for promotion. Compensation correlates with rank. Tasks are assigned. Managers assess performance. Rules tightly circumscribe discretion. This is the recipe for “bureaucracy,” the 150-year old mashup of military command structures and industrial engineering that constitutes the operating system for virtually every large-scale organization on the planet. It is the unchallenged tenets of bureaucracy that disable our organizations—that make them inertial, incremental and uninspiring. To find a cure, we will have to reinvent the architecture and ideology of modern management — two topics that aren’t often discussed in boardrooms or business schools. Architecture. Ask just about any anyone to draw a picture of their organization — be it a Catholic priest, a Google software engineer, a nurse in Britain’s National Health Service, a guard in Shanghai’s Hongkou Detention Center, or an account executive at Barclays Bank — and you’ll get the familiar rendering of lines-and-boxes. This isn’t a diagram of a network, a community, or an ecosystem — it’s the exoskeleton of bureaucracy; the pyramidal architecture of “command-and-control.” Based on the principles of unitary command and positional authority, it is simple, and scaleable. As one of humanity’s most enduring social structures, it is well-suited to a world in which change meanders rather than leaps. But in a hyperkinetic environment, it is a profound liability. A formal hierarchy overweights experience and underweights new thinking, and in doing so perpetuates the past. It misallocates power, since promotions often go to the most politically astute rather than to the most prescient or productive. It discourages dissent and breeds sycophants. It makes it difficult for internal renegades to attract talent and cash, since resource allocation is controlled by executives whose emotional equity is invested in the past. When the responsibility for setting strategy and direction is concentrated at the top of an organization, a few senior leaders become the gatekeepers of change. If they are unwilling to adapt and learn, the entire organization stalls. When a company misses the future, the fault invariably lies with a small cadre of seasoned executives who failed to write off their depreciating intellectual capital. As we learned with the Soviet Union, centralization is the enemy of resilience. You can’t endorse a top-down authority structure and be serious about enhancing adaptability, innovation, or engagement. We have to face the fact that any change program that doesn’t address the architectural rigidities and ideological prejudices of bureaucracy won’t, in fact, change much at all. We need to remind ourselves that bureaucracy was an invention, and that whatever replaces it will also be an invention—a cluster of radically new management principles and processes that will help us take advantage of scale without becoming sclerotic, that will maximize efficiency without suffocating innovation, that will boost discipline without extinguishing freedom. We can cure the core incompetencies of the corporation—but only with a bold and concerted effort to pull bureaucracy up by its roots. Note: This post is part of a series leading up to the 2014 Global Drucker Forum, taking place November 13-14 in Vienna, Austria. See the rest of the series here. 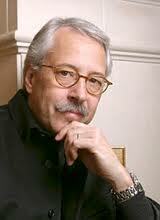 An influential business thinker, Gary Hamel is co-founder of Strategos and director of the Management Lab. He latest book is The Future of Management.